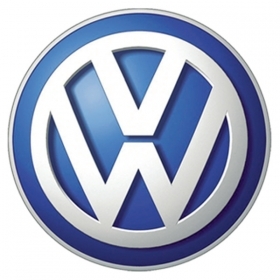 MOSCOW (Bloomberg) -- Volkswagen AG will decide on cooperation with GAZ Group by the end of the year, Volkswagen's general director for Russia said. Bureaucratic procedures mean that Volkswagen can't give a more precise forecast for a decision on car assembly with GAZ, VW's Dietmar Korzekwa said. “GAZ has said that the agreement will be by September, but we need to clarify all issues with the Economy Ministry and the Industry and Trade Ministry,” he said. The German company seeks cooperation with GAZ because the Russian market is expected to increase to 3.5 million cars a year, Korzekwa said. Volkswagen's facility in Kaluga won't be sufficient to meet the growing demand, he said. Russia's sales halved in 2009 to 1.5 million units due to the global economic crisis. Helped by scrapping incentives, the country's sales are forecast to rise to 1.7 million this year and 1.9 million in 2011, according to analyst Morgan Stanley. Volkswagen sees Russian sales of 360,000 units by 2017-2018, CEO Martin Winterkorn said during a meeting with Prime Minister Vladimir Putin earlier this month. Volkswagen seeks an assembly agreement with GAZ in Nizhny Novgorod to boost production in the “mid-term” and the company may eventually build a second production at its facility in Kaluga, Winterkorn said.